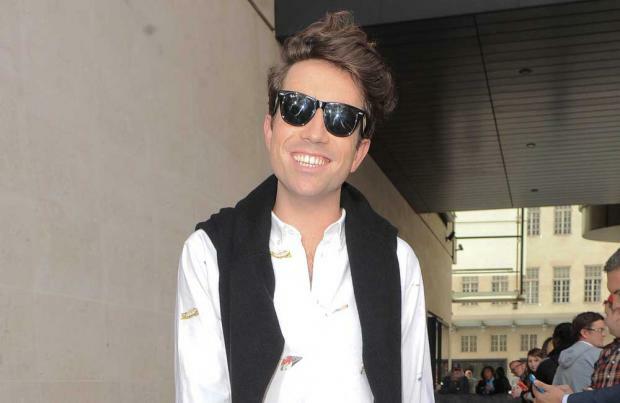 Nick Grimshaw's 'X Factor' appointment has been hit with a massive backlash on Twitter. It was announced that the BBC Radio 1 Breakfast Show host and 'How We Do' singer Rita Ora would be joining Simon Cowell and Cheryl Fernandez Versini on the judging panel for the next series of the ITV singing competition yesterday (16.06.15) but fans of the series have since expressed their disappointment at the announcement. One fan, Jack Cooper, tweeted: "Nick Grimshaw judging musical talent is like having someone from a takeaway who assembles kebabs judging food on Masterchef #XFactor (sic)." A Twitter user named Gagasfroots added her own displeasure at Mel B and Louis Walsh being replaced, writing: "I hate Rita Ora and Nick Grimshaw isn't talented. Talk about a downgrade from an actual spice girl." The show has been troubled by its fierce ratings war with BBC rival 'Strictly Come Dancing' and in a bid to remedy the decline in viewing figures it has experienced over the past few years it was announced the show would be going through a shake up this year. However, hundreds of fans have now claimed they won't be tuning in following the news that Nick and Rita are to mentor contestants. Viewer Hope Merrimen tweeted: "Well I was going to be watching #xfactor this year until Grimmy was announced for it. (sic)." Others on the social media site expressed their doubts about Nick because of the problems he has faced at Radio 1. The DJ has continued to lose the Radio 1 Breakfast Show listeners since taking over from Chris Moyles in 2013. As of this May, 800 000 listeners have switched off from the week-day-morning program in the last year alone. Radio DJ Mark Denholm commented: "I wonder if Nick Grimshaw will lose the #XFactor viewers the same dramatic way he's lost Radio 1 listeners. (sic)"
However, some fans are willing to be far more open-minded, rallying the critics to give the new judges a chance. Ross McClymont tweeted: "So much hate towards Rita Ora and Grimmy. So much for giving people a chance. I liked Rita on The Voice and Grimmy deserves a shot. #XFactor (sic)"